Leading Magazine, The Times of India in association with SRM University's Sivaji Ganesan Film Institute has conducted a pan India survey to ascertain the Fifty Most Desirable Men in India, the men who have it all — the looks, the bodies and the charm. India has chosen. 20.3 lakh votes have been cast. 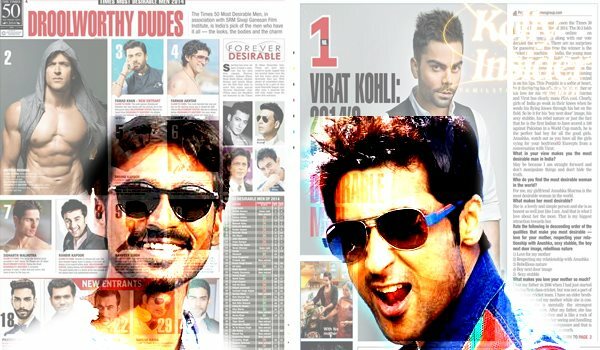 With Virat Kohli and Hrithik bagging the first and second positions, Fawad Khan landed the third position beating Ranbir Kapoor, Shahid Kapoor and Ranveer Singh on the list. Fawad Khan entered Bollywood last year and has since made everyone go gaga over his good looks and acting skills.